Eric Baron is an entrepreneurial CEO in the Technology, Media, Telecom and Broadcast sectors who recently founded EBA Performance Ltd, a provider of strategic and operational consulting services to leading technology ecosystem providers with a focus on early-stage to mid-cap firms. Over the last 25 years, Mr. Baron has launched, built, expanded, rationalized and transformed Technology, Media and Telecom businesses organically and via M&A into regional and global sector market leaders. Specifically his work included a large number of accelerated incremental business and market growth initiatives, realization of M&A strategies, negotiations with M&A targets, plus five major new innovative business launches and two major turnarounds. From 2012 to 2016, Mr. Baron served as Head of EMEIA – TV and Media at Ericsson, a leading global provider of technology and services to telecom operators, broadcasters and content owners/aggregators. Previously, he served as EVP of the Compression Business Line for Ericsson, where he had full worldwide P&L responsibility for the entire portfolio comprised of seven product ranges. 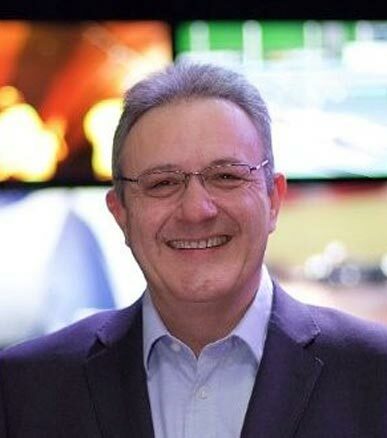 Mr. Baron was formerly President of EMEIA at TANDBERG Television (now part of Ericsson), which provides award-winning advanced compression systems, and on-demand and content distribution solutions that enable new television experiences and revenues. Mr. Baron holds an MBA from Institut Supérieur de Gestion in Paris and degrees in Economics, Management and International Business from Universities in Tokyo and San Francisco.